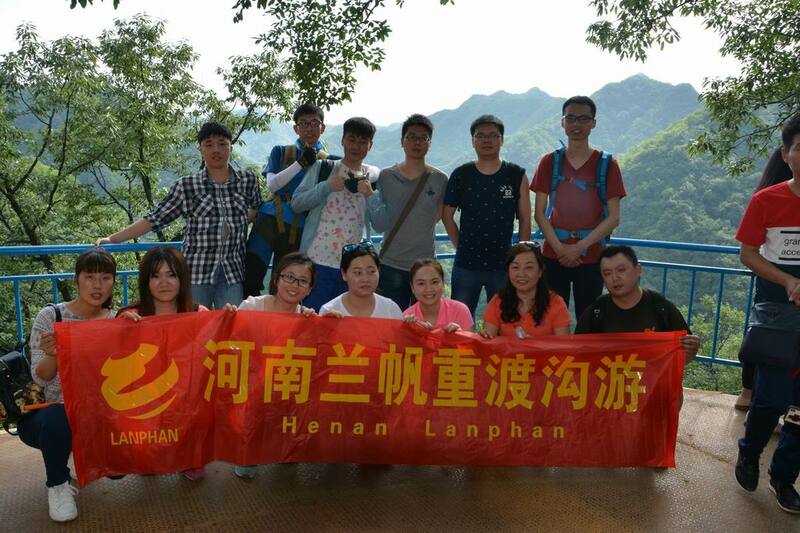 Journey To Chongdugou Scenic Spot of Henan Lanphan - Team Spirit - Henan Lanphan Trade Co., Ltd.
Summary : On June 4th, 2016, Henan Lanphan staffs began to head for Luanchuan county, started their 2-day’s journey to Chongdugou scenic spot. This activity greatly enriched Lanphan fellow’s sparetime life and enhanced communication between departments. On June 4th, 2016, seven o’clock in the morning, General Manager Liu leaded all Lanphan fellows to head for Luanchuan county, started their 2-day’s journey to Chongdugou scenic spot. Lanphan fellows successfully completed sales task in May, their busy working made sales performance break through 2.96 million Yuan. Company arranged a 2-day Chongdugou trip in reward of their hard working, also to encourage Lanphan colleagues to make persist efforts and have preferably condition in summer battle. 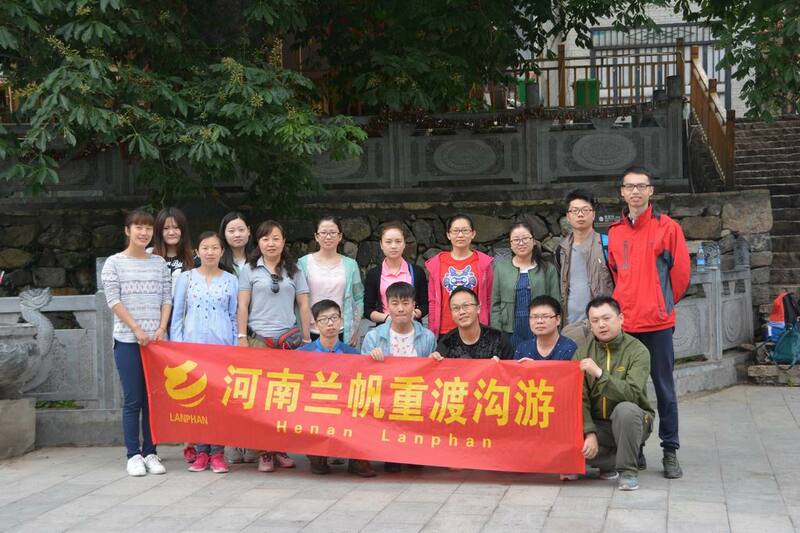 This activity greatly enriched Lanphan fellow’s sparetime life, enhanced communication between departments, and make Lanphan family more harmonious, thereby it better promoted the cohesive force in enterprise. 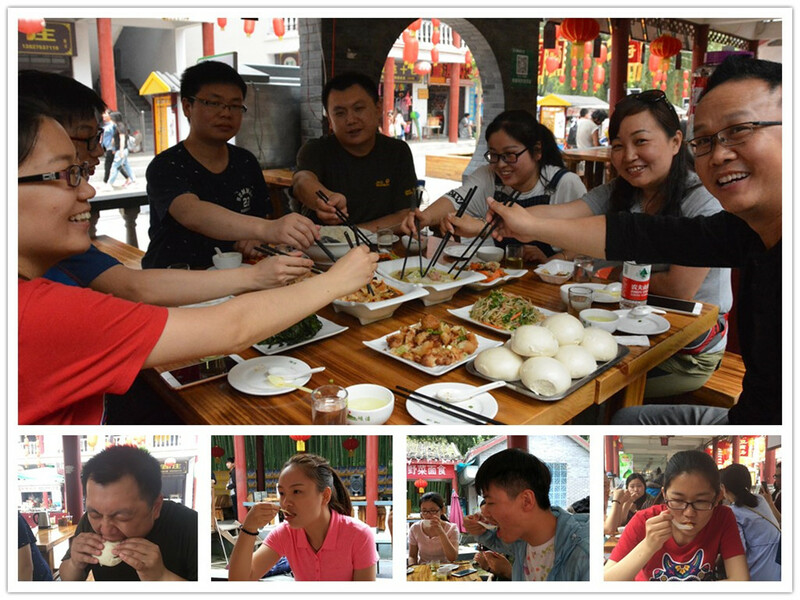 Whole travel is 2 days long, Lanphan team was immersed in a harmonious and cozy atmosphere. In the afternoon of approaching destination, the 17-people team began their wonderful trip. 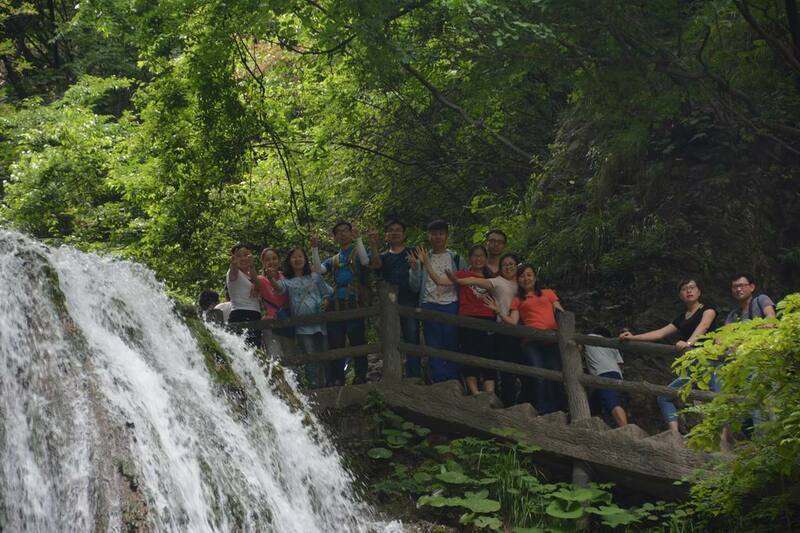 Lanphan fellows walked in mountain road which is paved by flagstones, ascended step by step, brook flow at great speed, grouping waterfalls as Xiefenya Waterfall, Shuangdie Waterfall, Jinjigu Waterfall, Jianzhu Waterfall, Jiancha Spring, waterfalls and deep pools all made them surprised. Lanphan fellows appreciated the beautiful scenery all the way, performing poses, taking photos, sending Wechat messages and talking about life...Mountain road became more and more danger, and their legs became more and more heavy, they assisted and encouraged each other to stride forward to the mountaintop. After more than three-hour’s trudge, most Lanphan fellows had successfully reached the peak, and left memorable group photo. 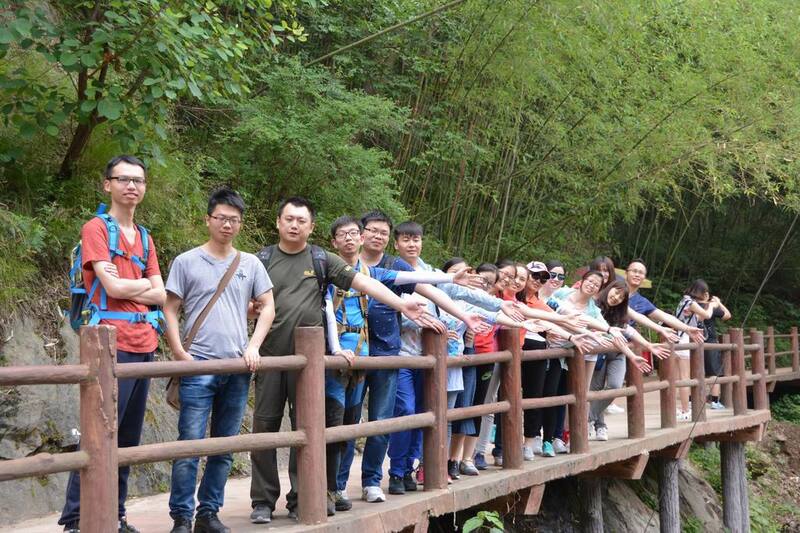 On June 5th in the morning, Lanphan fellows continued to sightseeing Dicui River scenic spot, bamboo forest, Shuilian Waterfall and farming village. Farming village is a place where has water mill, pottery workshop, oil workshop, wine workshop, wood turning workshop, traditional food area, spinning yard, bamboo weaving yard, temple of wealth god, self plough area, vegetable garden, etc. 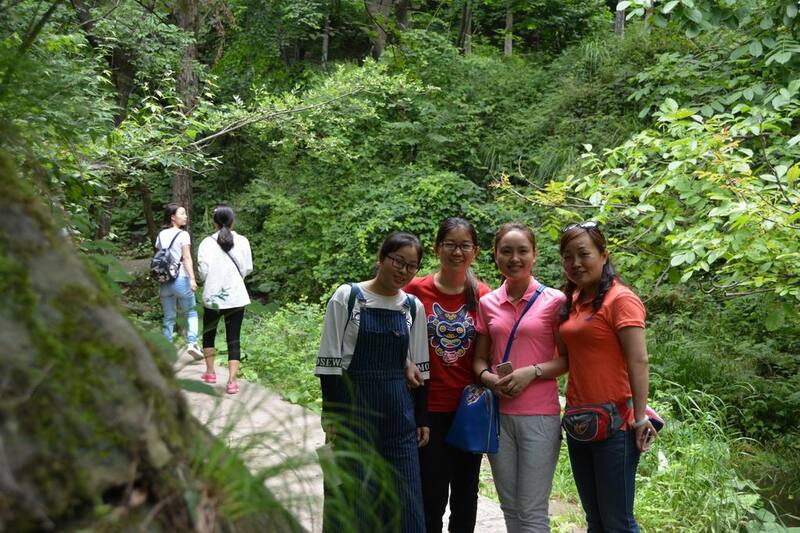 Visitors can not only see them, but also operate them in person, visiting beautiful landscape of lakes and mountains while exchanging feelings and thoughts by each other, this trip had left a profound and lasting impression on every Lanphan family member. It made them realized the family affection and touch besides working, and realized that Lanphan is a harmonious team and a warm family, furthermore, realized company’s care and thought for this trip. They goes back to Zhengzhou in the afternoon, journey to Chongdugou has over, Lanphan fellows began to prepare following work. It is believed that everyone will have even more abundant energy and rising enthusiasm to put into work, and continue to contribute power to Henan Lanphan!